Thanks to your feedback, Swimia has grow to be in just several months one essentially the most important sites of swimming pools. Here you may have all the info we know about Concordia Leisure Centre, in Cramlington. Do you know the opening hours? Are they providing any course? What is the cost for a single swim? 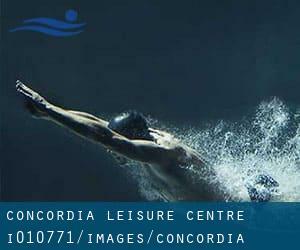 Don't forget you can also promote this pool so Concordia Leisure Centre will appear the first of Cramlington, or even the very first of one's country, make contact with us to know additional. Swimmers like you reported 25 meters, maximum depth 1.7 meters, maximum depth 1.7 meters, Indoors. Phone number and e-mail address are number for this Pool. Seafield Road , Seahouses , England , UNITED KINGDOM (Postal Code: NE68 7SP). This sports centre provides 20 meters x 10 meters, 1.2 meters depth, 1.2 meters depth, Indoors. Contact information for this Pool such as phone number and e-mail address are number. Old Durham Road , Birtley , England , UNITED KINGDOM (Postal Code: DH3 2PA). Swimmers like you reported 25 meters, 6 lanes, Indoors. Phone number and email address are number for this Pool. Updated on 2019 Bolam Park , Blyth , England , UNITED KINGDOM (Postal Code: NE24 5BT). This sports centre offers 33 meters, 6 lanes, Indoors. Contact knowledge for this Swimming Pool like phone number and email address are number. Updated on 2019 Front Street , Prudhoe , England , UNITED KINGDOM (Postal Code: NE42 5DQ). Among all the activities supplied by the centre, if you're considering swimming you will enjoy 25 meters, 6 lanes, Indoors. If you need to contact this Swimming Pool, e-mail address and phone number are both number. Updated on 2019 Institute Road , Ashington , England , UNITED KINGDOM (Postal Code: NE63 8HP). This sports centre offers 25 yards x 10 yards, 4 lanes, 1 meters - 2 meters depth, 1 meters - 2 meters depth, Indoors. For this Pool, only phone number is number here. Updated on 2019 Wentworth Park , Hexham , England , UNITED KINGDOM (Postal Code: NE46 3PD). Swimmers like you reported 25 meters, 6 lanes, 0.9 meters - 1.8 meters depth, 0.9 meters - 1.8 meters depth, Indoors. Phone number and e-mail address are number for this Swimming Pool. Newmarket , Morpeth , England , UNITED KINGDOM (Postal Code: NE61 1PR). This sports centre delivers 25 meters x 10 meters, 4 lanes, 1 meters - 3.3 meters depth, 1 meters - 3.3 meters depth, Indoors. For this Swimming Pool, only phone number is number here. Mayfair Gardens off Callerton Lane , Ponteland , England , UNITED KINGDOM (Postal Code: NE20 9EG). This sports centre offers 25 meters x 10 meters, 5 lanes, 0.9 meters - 2 meters depth, 0.9 meters - 2 meters depth, Indoors. For this Swimming Pool, only phone number is number here. Northumberland Road , Tweedmouth , Berwick - upon - Tweed , England , UNITED KINGDOM (Postal Code: TD15 2AS). Among all the activities offered by the centre, if you are interested in swimming you will appreciate 25 meters x 12.5 meters, 5 lanes, 1 meters - 1.8 meters depth, 1 meters - 1.8 meters depth, Indoors. If you need to contact this Swimming Pool, email address and phone number are both number. Links Road , Amble , England , UNITED KINGDOM (Postal Code: NE65 0SD). Swimmers like you reported 20 meters x 9 meters, 1 meters - 1.5 meters depth, 1 meters - 1.5 meters depth, Indoors. Unfortunately we do not have the e-mail address of this Swimming Pool, but we can give you the phone number. Updated on 2019 Willowburn Avenue , Alnwick , England , UNITED KINGDOM (Postal Code: NE66 2DG). This sports centre delivers 25 meters x 13 meters, 6 lanes, Indoors. Contact knowledge for this Swimming Pool for instance phone number and email address are number. The knowledge of this Swimming Pool has been verified lately by a member of their staff.